I love figuring out new ways to use my planners and planning supplies. There are just so many tempting good deals on planner goodies that I have a tendency to get a wee bit obsessed when adorable materials are on sale. Please tell me you know this type of planner girl fever. When you walk into a store that sells planning goodies and you armed with coupons or see those beautiful sale signs, you get a bit feverish. And excited. Like wanting to turn cartwheels in the aisle and do a little yodel. Okay, you might not be quite as weird as me, but the thrill is real! Sometimes, planning supplies that you have been eyeballing for a while are reduced in price to make it worth your while. Other times, you happen upon a glorious new planning gem and it’s like you want to sing to the rooftops! Ladies, these feelings are real. They are genuine. And these feelings are what I go through whenever I discover a new pad of gorgeous cardstock. Feel free to insert whatever planning material that you are slightly obsessed with. These feelings are not restricted to just cardstock! I never in my wildest dreams thought that I would amass the collection that I have today. And the collection continues to grow! I mean, when you walk into the store and find anywhere from 24 to 36 pages of beauty staring up at you and waiting to come home so you can use them to prettify your planner, how can you say no? Now, you may own more or less of cardstock. That’s cool. There’s no need for cardstock comparison or jealousy. There is definitely enough cardstock to go around, my planner friend! You wonder what you are actually going to do with it. In the store, it looked so pretty and needed you. And you needed it. Don’t just let your pretty cardstock sit there, alone and unused! Dashboards are super easy to make using cardstock. With the right type of punch for your planner, you can easily create decorative dashboards. Use a ruler to size your paper to fit properly in your planner. A paper trimmer can be useful to help you cut straight lines. Or a nice pair of scissors will do. When you have your dashboard cut to size, punch and insert into your planner. Have you seen all that gorgeous washi tape out there? Oh my stars! If you can’t afford to have all the washi tape of your dreams, you can make your own! Use a paper trimmer to correctly size and cut whatever cardstock you have on hand in place of washi tape. A glue stick or glue dots can be used to adhere your DIY washi tape into place. Planner inserts are one of my most favorite planner add-ons ever! These cute little babies can help you truly customize your planner. Simply take a piece of your favorite cardstock. Measure and cut to size. Punch. Decorate with stickers and stamps. Use your favorite pens to jot down to-do lists, chores, errands, meal plans, and more! Have you ever seen some of the special pages in your cardstock pad collections? Oooh! They are so purty! 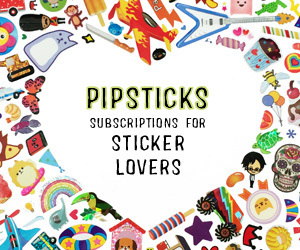 Cut those sweet things out & glue them in as stickers! Or use a decorative punch to make some super cute DIY stickers for use as decoration or functional purposes. Great way to repurpose cardstock trimmings. You can make your own pretty planner envelopes out of cardstock. They look so adorable and they really aren’t that hard to make. With just a few materials and a bit of time, you can use up some of your cardstock stash for functional AND pretty planner envelopes!